An Ashburn man has cashed in a $1 million Powerball lottery ticket he purchased Dec. 9. 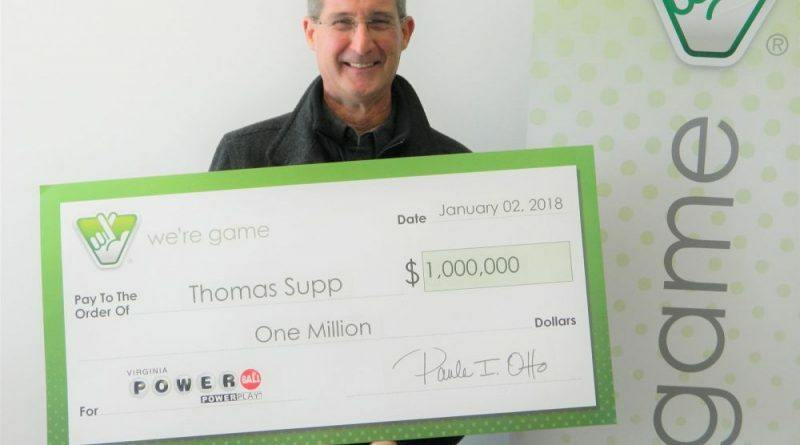 Tom Supp bought the ticket at an Ashburn 7-Eleven. According to the lottery office, he first thought the ticket was a $600 winner, it wasn’t until he brought it to the Virginia Lottery customer service center that learned it was a much bigger payday. Supp’s ticket matched the first five numbers in the Dec. 9 drawing, missing only the Powerball number. His ticket was the only one of three nationwide to match the first five numbers and the only one in Virginia.